Power interruptions are normal occurrence whenever there are massive weather disruption. Super storm Sandy however left around 2.8 million homes without electric power as it affected the transmission and distribution grid due to wind, gust and heavy flooding. Power interruption cost a substantial amount of money due to stoppage of salary or work payment, Cost of loss of profit opportunity, Overtime payment, Cost of loss of raw material, Cost of re-starting the process, and Cost of damaged equipment.But this super storm. But in cases like this, money is not the primary concern. The safety and health of the people within the area is. 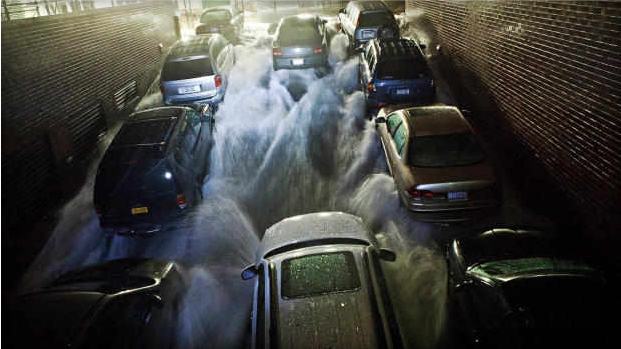 In a report by CBS news, Superstorm Sandy slammed into the New Jersey coastline with 80 mph winds Monday night and hurled an unprecedented 13-foot surge of seawater at New York City, flooding its tunnels, subway stations and the electrical system that powers Wall Street. The power was out for hundreds of thousands of New Yorkers and an estimated 5.2 million people altogether across the East. And the full extent of the storm's damage across the region was unclear, and unlikely to be known until daybreak. The subway system and the electrical network beneath the city's financial district, New York City's main utility cut power to about 6,500 customers in lower Manhattan. But a far wider swath of the city was hit with blackouts caused by flooding and transformer explosions. The subway system was shut down Sunday night, and the stock markets never opened Monday and would be closed Tuesday as well. It should be noted that some of the experienced power interruption is deliberately done to protect the people, and equipment from further damage. Also, before evacuating, make sure that the main circuit breaker is turned off. transmission-line.net is wishing for everyone's safety, especially to those affected by this unfortunate event.